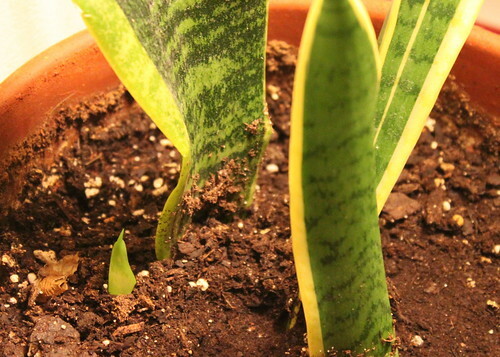 After waiting for half a year, the snake plant leaves have finally sprouted a new leaf. For the longest time, I had just these leaf pieces sticking up from the dirt and even though they stayed green, it almost looked like they weren’t going to take. Sometimes I even forgot to water them because they didn’t show any visible growth. 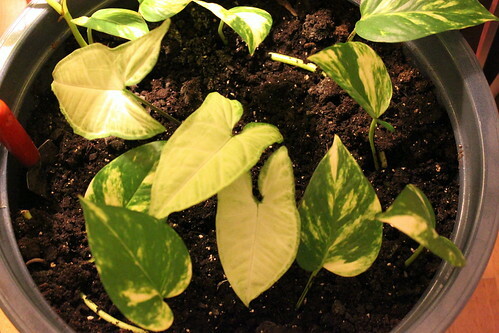 The only thing that kept me on them was anytime I tried pulling the leaves up, they didn’t budge. That told me they rooted. I got a new cutting from a coworker. I’d been wanting an arrowhead vine for a while to add to my collection. 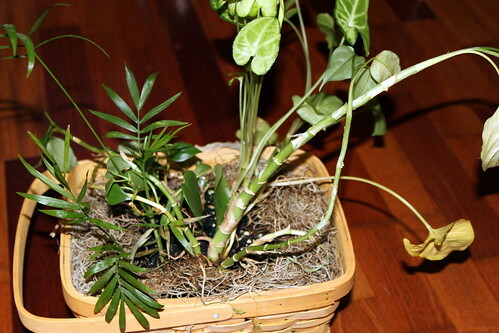 And I’ve also rescued this pitiful looking planter from work. It wasn’t getting any water or much light. I’m hoping to revive it and bring it back but I might cheat and plant some of my own cuttings to get it looking fuller. I’m not sure yet. For now I’m just trying to salvage the survivors. And speaking of survivors, here are some survivors from my aquatic garden. 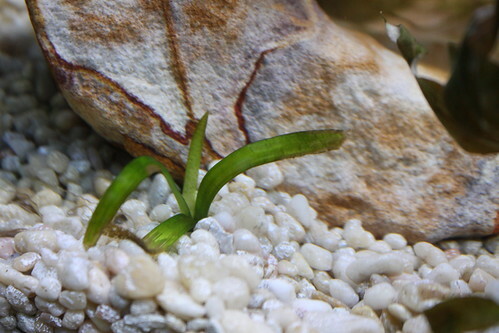 Leopard vallisneria with a couple of new leaves after a major meltdown. 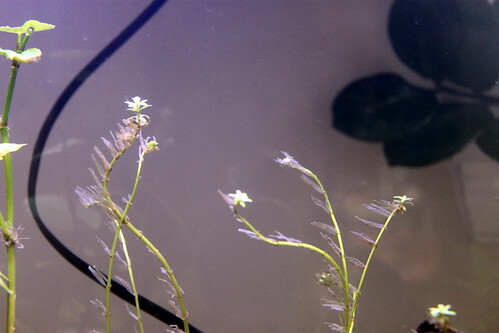 Rotala indica finally growing new leaves at the top after its original leaves all melted. You can see the drifty stuff along the stem. Those were all its original leaves. That’s what I mean by melt. They get soft then rot off. 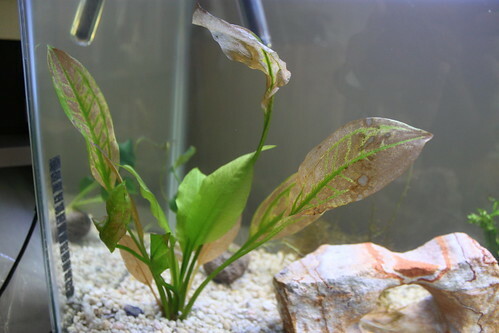 And even though my amazon sword’s outer leaves turned brown it’s grown some new ones from the center to make up for it.